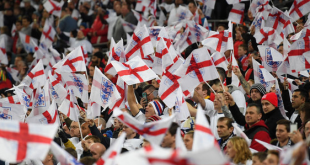 UK bookmaker Coral has raised £10,000 for Prostate Cancer UK, over the past month, new and existing Coral customers have had the chance to take part in Coral’s ‘GOALvember’ activity, allowing them to win free bets. 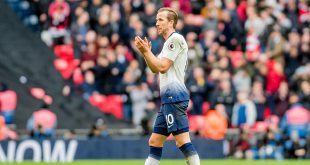 Each week, the challenge asked punters to select a footballer from Coral’s list of players and each time they scored that week, they won a free bet. 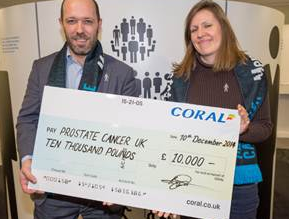 For every entry into GOALvember, Coral donated £1 to Prostate Cancer UK. The promotion ran for four weeks and generated a total of 10,000 entrants. Paul Browne from Coral presents Alison Walker from Prostate Cancer UK with a cheque for £10,000, raised through the bookmaker’s GOALvember challenge.